First off, I want to apologize to my readers for my lack of effort recently. You’ve been getting D+ effort and C- Content. No excuses from me, I just haven’t been in the blogging zone recently. I’m about to change that because you’re about to be getting a flurry of blogs on a wide variety of topics. I’ll do my best, as always, to keep them entertaining for you. I’m sitting here on my throne right now and I just had the greatest idea for an invention ever. 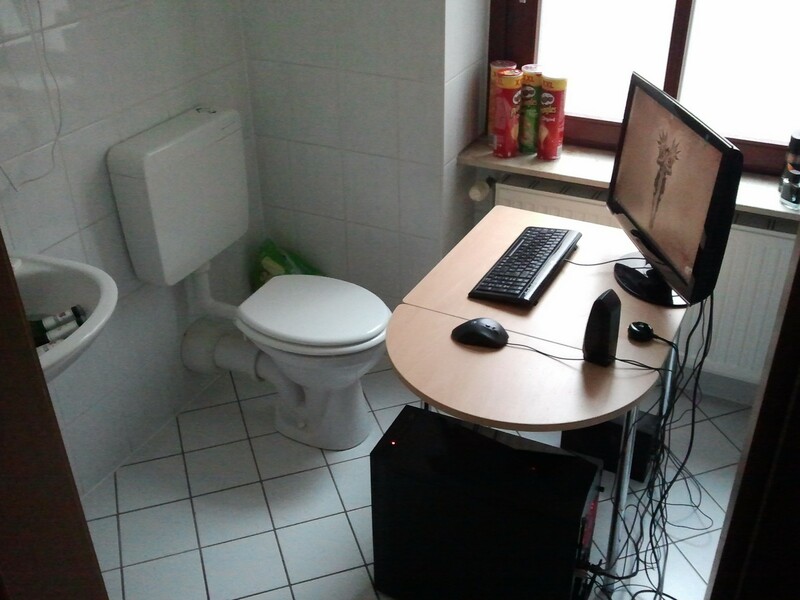 It would be a fold out desk that you could use while sitting on your toilet. I’m baffled as to why nobody has thought of this sooner. This could be my shark tank. Apparently this idea has been patented as of March 2011. No, I won’t sue you for making a table that sits in front of the user on the toilet . . . my patent is strongest in the fact that it “fits between your legs” if you don’t use that part of the design or that type of description you’re okay. 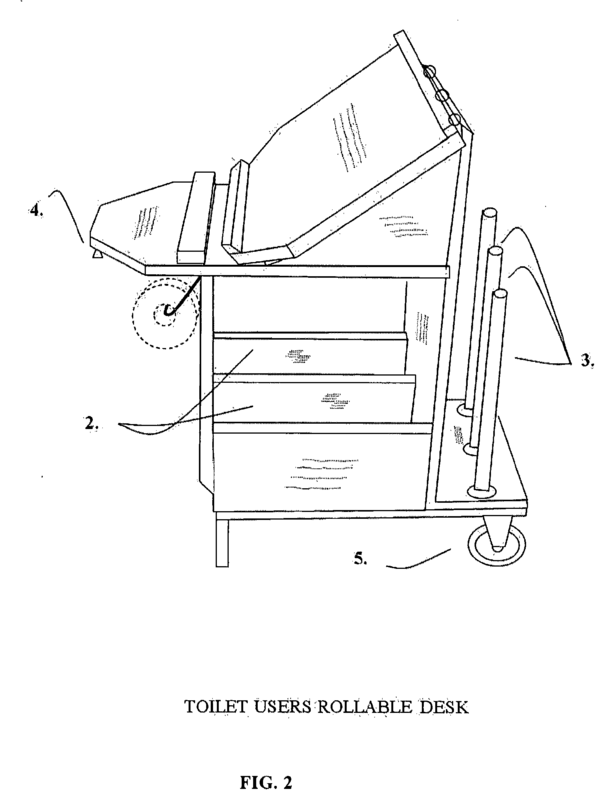 Besides, I’m all for the small inventor, if you get a good idea, go for it, I’m looking for the large corporation to license my product from me, not running around trying to sue guys like you and I – we gotta stick together 🙂 Good luck, Brian Wylie – owner of Toilet Users Rollable Desk .com.